Did you know that heart disease is the number one cause of death among men and women in the United States? Chances are even if you haven’t been personally affected by heart disease, you know someone who has. February is National Heart Health Awareness Month and it’s the perfect opportunity to use your brand to join in the fight. You can use your promotional merchandise to promote awareness and education about heart disease, support your community and your brand. According to the American Health Association, 80 percent of heart disease is preventable with healthy lifestyle choices and risk factor management. A healthy lifestyle, especially when started at a young age, goes a long way to preventing cardiovascular disease. Making positive changes early can help you avoid, or even slow down, heart-related problems. Some changes that can make the biggest impact on overall heart health include losing weight/maintaining a healthy weight, eating healthy, staying active, managing blood pressure, reducing blood sugar, quitting smoking and controlling cholesterol. You can use your promotional products to encourage a healthy lifestyle. Think water bottles, workout gear, pedometers and more. You can spread awareness of this disease and your brand through products that encourage overall wellness and healthy choices. The more you know about your health the more power you have to stay healthy. Understanding the risk factors and ailments associated with heart disease is an important step to take to prevent yourself, or your loved ones, from being directly affected by this disease. Branded merchandise like notebooks, pens, bags and more can create a conversation around education of this disease. Items like these will be used again and again, continually reminding them of the importance of good cardiovascular health. You could even bring in an expert to screen for conditions like high blood pressure and educate at-risk or potentially at-risk people on the dangers they may be facing. Send a message that you care and raise long-term awareness and education about heart disease with your merch. 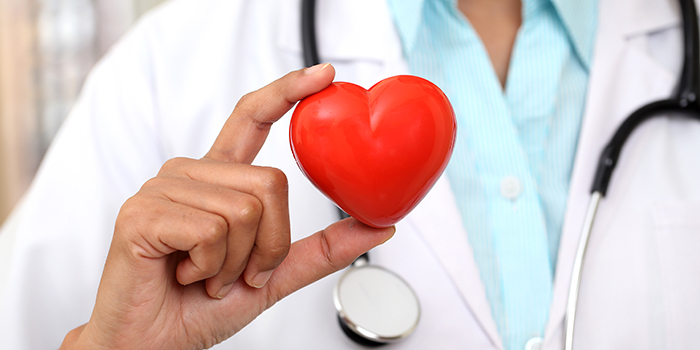 Explore the perfect product ideas for your brand in our Heart Health Awareness catalog.